Peter Ramage knows only too well what’s required when the going gets tough. The experienced defender was playing for QPR a few seasons a go when the club was in danger of getting dragged into a relegation dogfight. But Ramage and his fellow senior professionals stepped up to the plate when it mattered and, under the guidance of then new manager Neil Warnock, strung together a series of much-needed results to finish the season strongly. 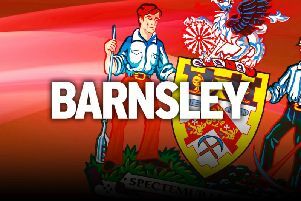 And Ramage has likened Barnsley’s current situation, 18th in League One and on the downward slide, as resembling the predicament faced at Lotfus Road. “It’s a similar situation to when I was at QPR and we were in danger of getting sucked into the bottom three,” reflected Ramage, speaking to The Star. “As senior professionals we all sat down and discussed what we needed to do – and that was to knuckle down to get the results we wanted. “It worked and, as well as Neil Warnock galvanizing, us, we stepped up to the plate and finished the season strongly. “I’m not saying we need a new manager, far from it because I think Danny Wilson is doing a very good job and building for the future. Crystal Palace loan centre-back Ramage limped off after 28 minutes of the Reds’ excellent 2-0 home win over Yeovil Town, but has missed the club’s last two matches. Both of those fixtures, against Doncaster Rovers and MK Dons, have resulted in defeats. But Ramage is expected to return to the Reds’ starting line-up this Saturday having been sidelined through injury. And it’s little surprise the 31-year-old is hungry to get back into the fray to help plug the club’s leaky defence. “And it’s been tough for a lot of the young boys who have had to come in and had to step up to this level. “The young lads have done great, but it’s always good to have that balance with a few older heads in there who have been there and done it.